These Taco Buns were one of those changey-uppey things. 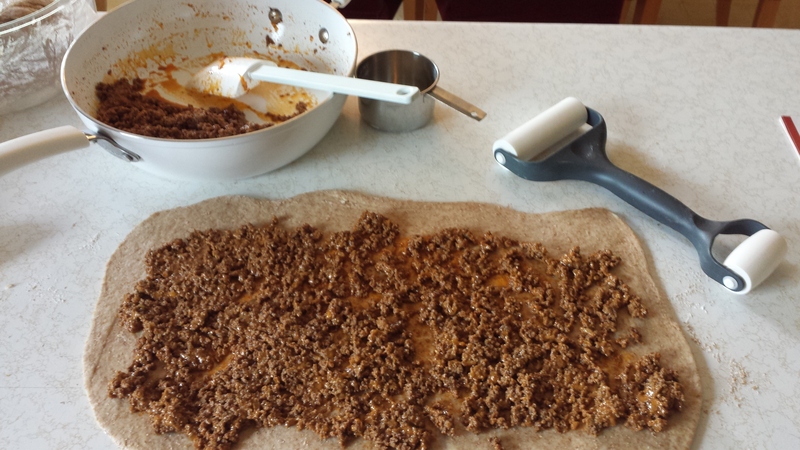 My family loves the old classic Taco Ring from The Pampered Chef. However, I am getting to a point in my culinary journey that, although it can be quick and great, my gut is not loving Pilsbury so much anymore…. and the alternative – to make my own homemade croissant dough, like this one – was more than I could manage in the 60, 59, 58, 57 minutes I had until dinner time. Gah!!! Time pressure!!!! Mix up your favorite sweet dough (or try this recipe: Rapid Bake Sweet Dough). 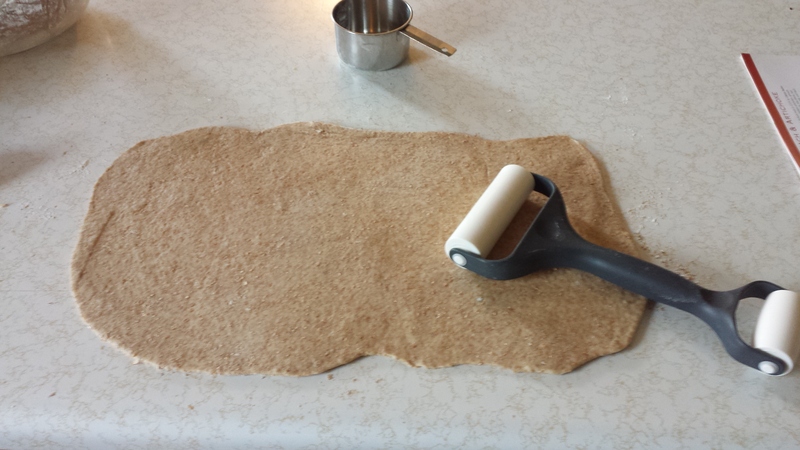 Roll out your dough on a lightly floured surface. I LOVE my Baker’s Roller for this job. I split my dough into two parts to make this a little simpler. And yes, this is whole wheat dough. Go a little light on the measuring if you decide to swap the white for whole wheat. I usually leave out about 1 Tbsp of flour per cup when I convert from white to whole wheat flour. 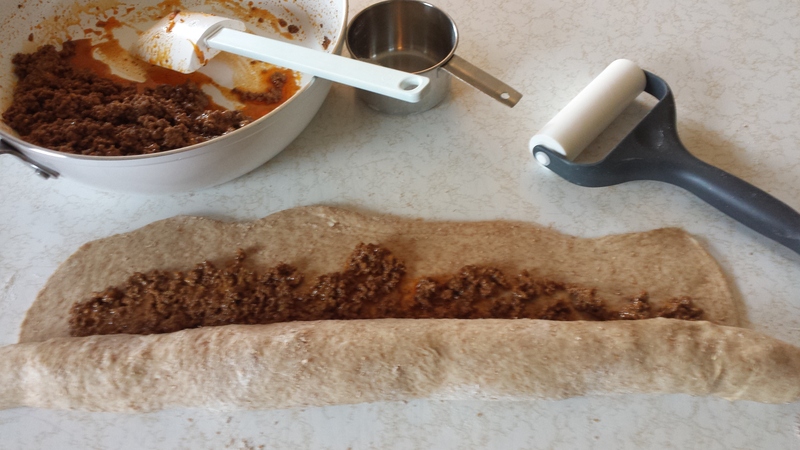 Spread your meat mixture over your dough. Try not to have it too wet… don’t want soggy buns! 😉 Also, leave a 1″ meat-less gap around the edge – your filling will spread! 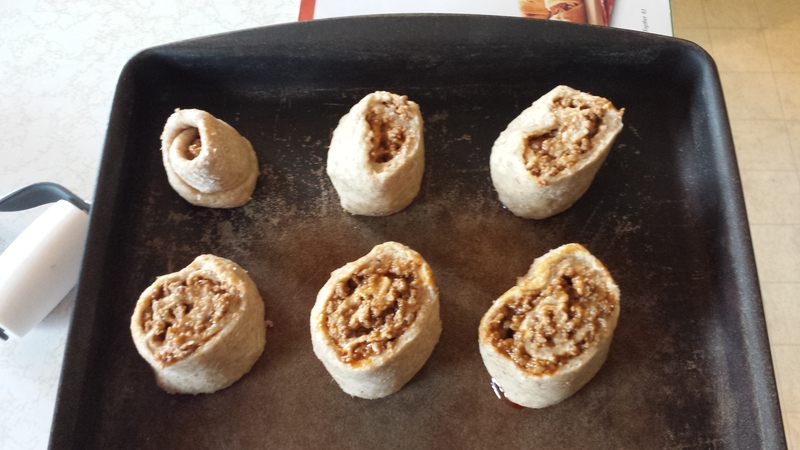 Roll the dough away from you, then pinch it closed. 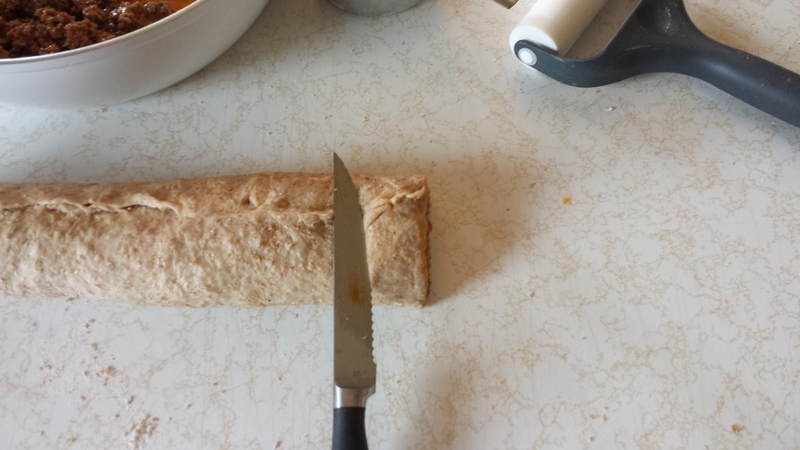 Once you’ve rolled and pinched, use a serrated knife to cut 1″ tall buns from the taco log you’ve got there. 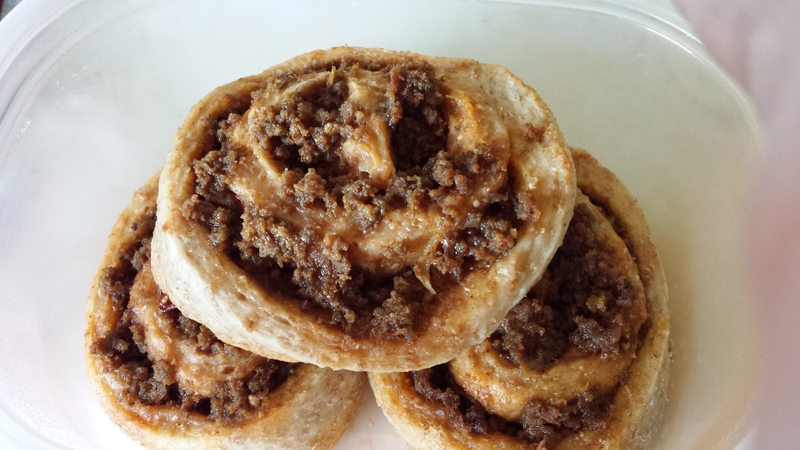 Lay your buns cut-side down on your favorite pan… my favorite is my stoneware…. the Large Bar Pan, to be exact! Pop them in a 375ºF oven for about 20 minutes. You will have about 2 dozen buns out of this…. fed our family of 6 just fine, with a nice side salad. Give these a try and tell me what you think! I’m thinking these might do well for camping and/or freezing, too! – the alternative to the pizza bun!